Visit Village Cinemas and you’ll find a wine and cocktail bar with a sophisticated New York-inspired interior tucked away in a quiet corner of Jam Factory in the heart of South Yarra. Boasting a range of hand-selected wines, world-class liqueurs and speciality beers Roc’s is the perfect place to wile away a long evening or alternatively to sneak in a pre or post-movie cocktail. As well as drinks, don’t leave without tasting the many exquisite dishes off the menu prepared fresh with the best local and imported ingredients. Focused on sharing, the menu is an inspiring mix of contemporary options from around the world. Shoppers are welcome to drop in to Roc’s for a drink and some bar snacks or sit down and experience the exquisite offerings from the best wine bar menu in town. From the backlight shadow box feature wall to the leather furnishings, sheer curtains, quilted walls and plush sofas, it’s an easy place to relax and where you can leave the hustle and bustle behind. 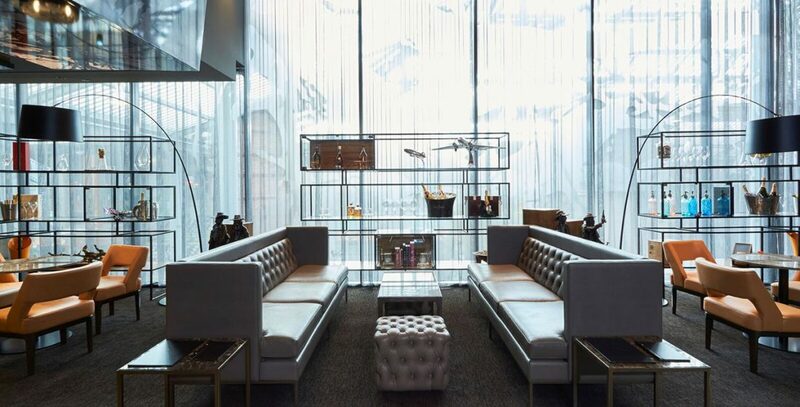 Named after Roc Kirby, founder of Village Roadshow ­– a pioneer of the Australian Film and Cinema industry ­– Roc’s Jam Factory is a stylish and intimate escape where table service and hospitality reign supreme.